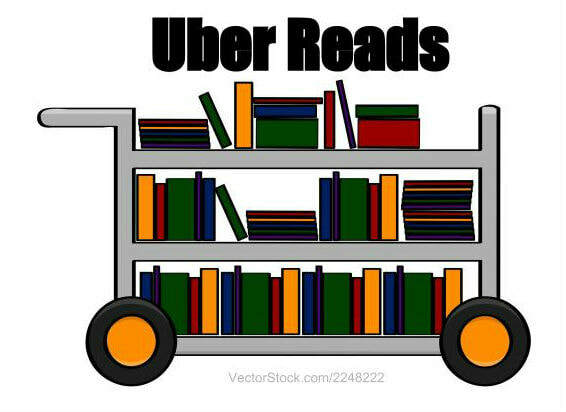 Uber Reads - "... like a good book"
Log into Destiny and order books to be delivered to your class. Fill out and turn in a completed Bingo sheet. Books must be from the school library - NOT a classroom collection. One winner per grade level will be randomly selected from the returned Bingo sheets. Winner gets to invite up to 5 other people for a pizza lunch on the library patio for the entire period (both seminars and lunches). Patio will be roped off and include "Private Party" signs, music, and phone privileges.